Cannot change mileage on a 2009 Mercedes-benz w221 via OBD? Need to fit filter/blocker in EIS and do dash only? NO! 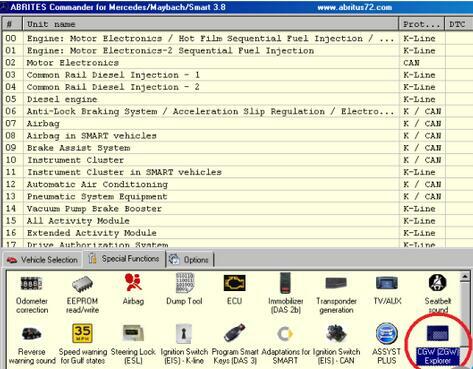 I did 6 merc w221 using FVDI obd without any issues.. there is an instruction by www.obd2tool.com on how to do it step by step in the abrites manual…. can do all control unit with it. need like 1.5 to 2 hours to finish it. it block can between IC and EIS. I only have the R270 programmer at the moment and digiprog 3 so I think can blocker is going to be the cheapest way. If for Mercedes only, vvdi mb tool should be the best choice…program keys and repair dash km..all ok.
Open Special Function ‘CGW (ZGW) Explorer” to read the EEPROM and the flash memories of Central Gateway (CGW) control. Back up EEPROM and the flash dumps as files in your hardware. FVDI Mercedes will automatically back up EEPROM and the flash memories file when it reads them. The backup files should be installed on C:/Program Files/ABRITES software for IDXXXXXX/Mercedes. 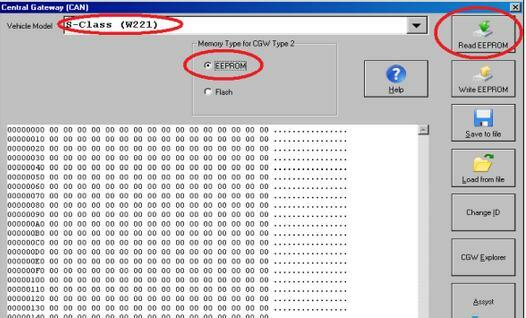 Select EEPROM, click Read EEPROM and save it to a file after EEPROM has been read. Select Flash and click Read Flash and save it to a file after FLASH has been read. Enter “Main Odometer”, “Operating Time (Days)” and “Number of Oil Changes” to alter all this information. Click on “Yes” when FVDI ABRITES program asks to set the information for the different service history records. Enter detail for each record. For example: If the vehicle has 3 records, you need to enter the details for 3 service intervals. The values for the day cycle counter should be entered in an increasing way. 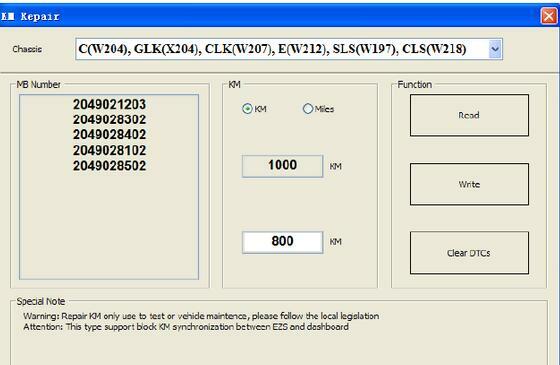 Vvdi mb tool is a good solution of mercedes read & write keys/CGW (ZGW), EIS & ELS tools, password calculation of working keys and lost all key, prepare key file, renew ECU/gearbox/ISM, repair KM, etc. block KM synchronization require update Gateway FLASH and EEPROM. You can provide the FLASH and EEPROM that you have. If you don’t provide these files. We will use the FALSH and EEPROM from Gateway, only need some time to read it.